Before Luke Rockhold and Chris Weidman compete for the Middleweight strap, UFC 194 showcases another battle between two of the most gifted athletes in the division. When Ronaldo Souza and Yoel Romero meet on December 12th, it will be the third time the bout has been scheduled, after withdrawals from UFC 184 due to Souza contracting pneumonia, and UFC on Fox 15 after an injury to Romero's knee. If the third time really is the charm, however, this fight will be not only an outstanding matchup, but one that has great bearing on the UFC's 185 pound division. 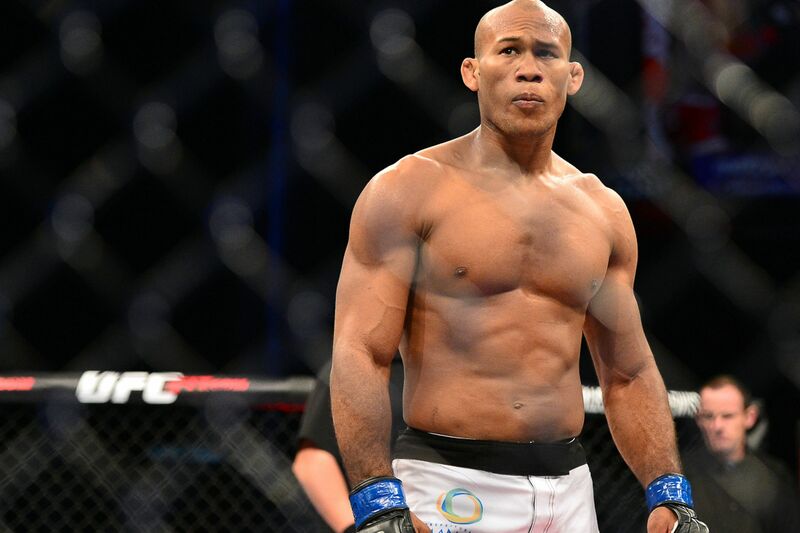 Ronaldo 'Jacare' Souza (22 - 3, 1 NC) is one of the most feared competitors at middleweight. Holding victories over UFC veterans Gergard Mousasi and Tim Kennedy, as well as current Welterweight champ Robbie Lawler, Souza is one of the most gifted Brazilian jiu-jitsu practicioners ever to step foot inside the Octagon. Starting BJJ at only 17 years of age, Souza was awarded his black belt at 24, after submitting all but one of his apponents in the World Championships brown belt division. Souza's grappling credentials at black belt are phenomenal; three gold medals at the World Jiu-Jitsu Championships, including two victories in the absolutes. Two gold medals at the ADCCs, with one being Superfight gold. All whilst being a middle-heavyweight. What makes Souza's BJJ so formidable, however, is how well his strengths translate to the world of MMA. Souza is an ultra-aggressive BJJ player, with incredible speed to his takedowns, along with a phenomenal top game. Along with a black belt in Judo, Souza is more than likely the most dangerous ground fighter in the sport today. Whilst learning the striking arts late, Souza has also demonstrated marked improvements in his standup from fight to fight. With legitimate knockout power in both hands, Souza has a strong hook and decent footwork, giving him the means to also win fights via KO, as he has done in two of his last seven. However, Yoel Romero (10 - 1) can boast an athletic background just as impressive as Souza. The Cuban has wrestled in two Olympic games, winning silver in 2000, and placing fourth in 2004. Hailing from a freestyle wrestling background, Romero has defeated 3 Olympic gold medalists and 5 World Champions in his championship career. Since transitioning to MMA in 2008, the 'Soldier of God' has exhibited a freakish level of athletisism in just about every fight he has had. Nine of his ten professional wins have come via TKO or KO, with his most recent being his three-round manhandling of Lyoto Machida, which ended with a brutal flurry of elbows from top position. What is scariest about Romero's athletic prowess, however, is that he barely seems able to control it. At times, his brain seems to be playing catch-up whilst his body performs feats of explosive brilliance. As such, opponents can never be sure if they are going to be ankle-picked, suplexed or struck by him leaping off of the cage. This matchup contains many interesting dichotomies. Romero is an Olympic wrestler, but may not even want to be on the ground with Souza. Conversely, Souza may not want to voluntarily accept bottom-position due to Romero's ability to batter all parts of the body from top. Romero has shown that he is capable of punching out the lights at any given moment, but Souza has a superior grasp of technical striking. With Souza being 35 and Romero being 38, one would think that this fight marks the last opportunity either man has to make a lasting mark on a burgeoning middleweight division. A victory for either man sets up a mouthwatering clash with whoever takes home the belt from the Middleweight title fight. Souza vs. Romero on December 12th is in all respects a must-watch.